Kenneth Fok has targeted International Olympic Committee (IOC) recognition for esports following his election today as the President of the sport’s Asian governing body. Fok assumed the position as the new head of the Asian Electronic Sports Federation (AESF) during the continental organization’s General Assembly at the Hotel “Sport” here in Turkmenistan’s capital. The 38-year-old is the son of Timothy Fok, who is the President of the Sports Federation & Olympic Committee of Hong Kong, China. He replaces Kazakhstan’s Natalya Sipovich after she resigned from the Presidency due what an Olympic Council of Asia (OCA) spokesperson described as a “heavy workload”. Speaking at a press conference on the sidelines of the Ashgabat 2017 Asian Indoor and Martial Arts Games (AIMAG), where esports is featuring as a demonstration sport, Fok said the AESF’s vision is to have esports recognized as an Olympic sport in the future. “But our mission, how to get to our vision, is a much more complicated road. “Our mission is to develop esports in all the countries and regions in Asia-Pacific so that we develop a healthy ecosystem for the development of electronic sports. “I mentioned esports being an Olympic sport, but of course we have to set some ground rules and we have to start aiming towards this in the right direction. There is much debate about whether esports should be classed as a sport or not and Fok said he will not hide behind what he described as the “white elephant”. “Of course, there is a debate on whether esports is good,” he added. “I mean this is the thing we have to address face on. “Some people say, it’s games addiction and so forth. 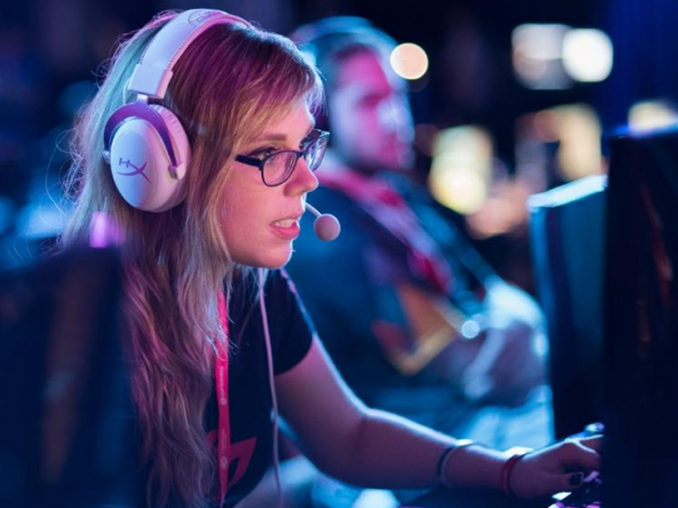 “I’m not saying there isn’t games addiction, yes there is, but how can we educate the younger generation, how do we promote esports as helping them to participate in sport in a healthy and positive manner? Joining Fok at the press conference was Zhang Dazhong, founder and chief executive of Alisports, which is a division of IOC TOP Sponsor Alibaba. The OCA and Alisports, together with Sina Corporation and Yunfeng Capital in Shanghai, announced a strategic partnership in April to organize and promote the esports demonstration event here at Ashgabat 2017. Under the terms of the deal, a demonstration event is also scheduled to take place at the 2018 Asian Games in Indonesian cities Jakarta and Palembang. Esports will become a full medal event at the 2022 Asian Games in Hangzhou in China. Taking place from September 25 to 27, Ashgabat 2017 competitions will be held in Defense of the Ancients 2, a multiplayer online battle arena video game, strategy card game Hearthstone, StarCraft II – a real-time strategy game – and The King of Fighters XIV. Technical support will be provided by Alisports and marketing company Duo Sport Group. “Our ideology is very simple, we want to bring esports closer to the Olympics and this is highly agreed by AESF President Kenneth Fok,” Zhang said. The composition of the AESF Executive Board was also determined today, including vice-presidents for each of the five major Asian regions. Qatar’s Sheikh Abdullah Faleh Al Thani, Kazakhstan’s Saken Mussaibekov and India’s Lokesh Suji will represent West, Central and South Asia respectively. Vietnam’s Tran Van Manh will be the Association of Southeast Asian Nations’ representative, while the position for East Asia will be allocated to China and be confirmed later by the country’s National Olympic Committee (NOC). There is also one vice-president from the AIMAG in Azat Muradov and one from the Indonesia Asian Games 2018 Organizing Committee, which will be confirmed by the country’s NOC. A further vice-president has been allocated to Oceania, which it is said will “come from the Oceania Electronic Sports Confederation or Oceania National Olympic Committees if such an organisation does not exist”. Among the Executive Board members is Kuwait’s Sheikh Fahad Al Sabah, who is the son of OCA President Sheikh Ahmad Al-Fahad Al-Sabah. Sheikh Ahmad warned yesterday that the growth in popularity of esports cannot be ignored and needs to be accommodated to help keep the world’s youth engaged. Asked about the likelihood of esports featuring at the 2024 Olympic Games in Paris in some capacity, the 54-year-old insisted the immediate priority is for the International e-Sports Federation to achieve IOC recognition. Outgoing AESF President Sipovich, the chairperson of the OCA Women and Sport Commission, was made an Honorary Life President during the General Assembly. “I do believe it’s time to change to have a young and a strong leadership for our Federation,” she said in her resignation speech.